Bezuidenhout was bombed in a tragic incident on 3 March 1945. We would like to take you on a historic walk to show you the past as well as the present. A major catastrophe took place in Bezuidenhout on 3 March 1945. Just before the liberation, the neighbourhood was accidentally bombed by the British air force. The plan was to bomb the V2 installations in the Haagse Bos (The Hague city forest). But the very heart of Bezuidenhout was hit instead of the installations. Much of the neighbourhood lay in ruins, hundreds of people lost their lives or were wounded as a result, and thousands lost their homes. ""Everyone went outside into the streets. You saw people running in all directions, just running, running, running... But it didn't matter where you ran, there was fire everywhere."" Walk along this beautiful route passing information boards in the neighbourhood of Bezuidenhout. With your mobile in your hand at each location, you will get to see and hear even more about the historic events in this neighbourhood. We enjoyed to learn more about the history of this community. You can find the texts of the boards on this website. Walk around and see for yourself! 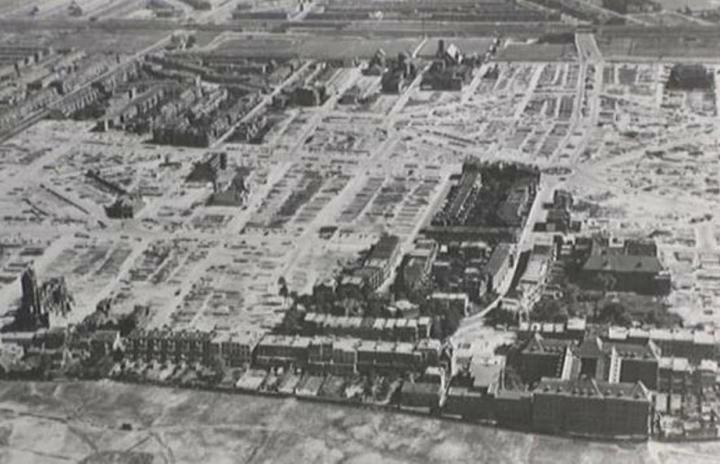 The Stichting 3 maart '45 (3 March '45 Foundation) is dedicated to maintain awareness about the disaster and the many victims of the devastating bombing of the Bezuidenhout neighbourhood on 3 March 1945. The Foundation seeks to remember the sacrifices that were made to regain our freedom and to show respect for the people that were involved. In a broad sense, the Foundation strives to focus attention on the importance of freedom,which is especially significant in this time of increasing intolerance. The Foundation organizes the annual remembrance of the bombing of 3 March 1945, in cooperation with the neighbourhood residents and other organisations.